Some days ago paparazi took photos of Jue Zhou and her boyfriend, Li Dai Qi when they were having dinner at a restaurant in the North East of Shanghai. Wearing jeans and pullover, Jue looked simple, not like a famous actress. A witness said that they had lively conversation as if they were spouse. At first, when they entered the restaurant, there was only one person in it so no one recognized her, the Movie Queen. 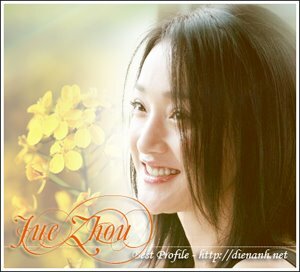 Half an hour went by, some people saw she is famous artitst, Jue Zhou. Thus, they gave her cherry hallos and some gifts. These made her very happy. Jue and Dai Qi had dinner in 2 hours. Then the couple hand in hand came back the hotel.